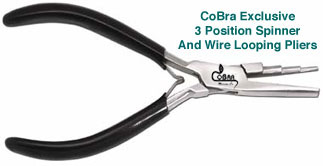 CoBra JAWS Full Round Crimping Tool forms an unobtrusive crimp and banishes forever unsightly sharp edges formed by conventional flat crimp methods. Used with crimp tubes or beads, it forms a finished crimp whose diameter is smaller than the crimp itself. 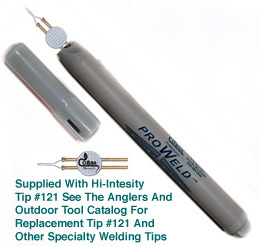 Your crimp can now be hidden in a bead, weight, barrel etc. 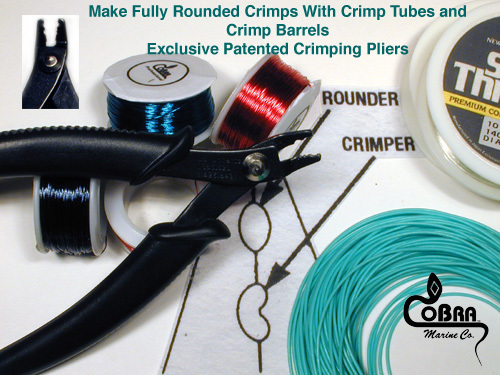 Position #1 (crimper) is used to make the crimp dimple and Position #2 (rounder) forms the final fully rounded crimp.